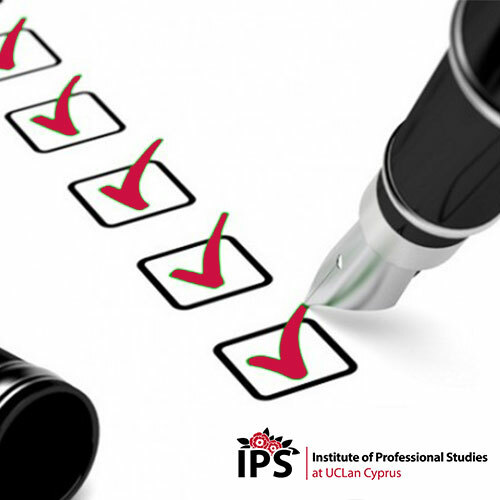 As a modern Institute with an international focus, we openly welcome international students to the UCLan Cyprus Campus. Applicants will be assessed on an individual basis, based on their country’s academic qualifications and standards. The language of instruction and assessment for all programs at our Institute is English except the Professional Diploma in Automotive Mechanics which is in Greek. High school leaving certificate of secondary or technical education or another international equivalent. Grade C or above in GCSE English or 4.0 IELTS (or equivalent). Applicants without a grade C or above in GCSE English will have to show a good grasp of the English language and will require 4.0 IELTS (or equivalent) for entry into year 1 (only applies to courses taught in the English Language). Applications from individuals with non-standard qualifications, relevant work or life experience, and from those who can demonstrate the ability to cope with, and benefit from, degree level studies are welcome to apply and will be considered on individual basis.